Amenities: Seller is offering $5,000 decorating allowance with acceptable offer. 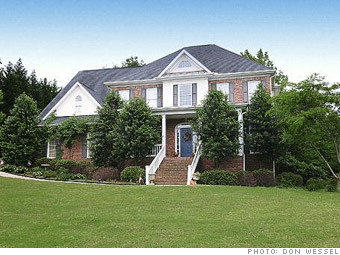 Three-car garage, exercise room, game room, vaulted screened porch with wood-burning fireplace. South Carolina has turned into the home of the halfbacks, folks from the Northeast who retire to Florida and then -- because of heat, high insurance premiums, hurricanes, or all of the above -- move halfway back up north. Greenville and its fellow South Carolina cities still give residents a change of seasons and a stable real estate market that never experienced sky-high prices during the bubble: Greenville has dropped a relatively modest 13% since its peak and has another 1% to fall. One of the biggest draws for Greenville residents is its downtown, which has undergone a 30-year revitalization plan. (Its Main Street has been recognized by the National Trust for Historic Preservation.) "It is so darn cute," says Lori Sperry, 50, who recently bought a retirement home in the Greenville area. A growing number of retirees are buying condos within walking distance of downtown's stores and nearly 100 restaurants. Those looking for a city culture can take advantage of Greenville's proximity to Charlotte and Atlanta.